If your reach-in cooler is having a problem, give us a call. Need immediate reach-in cooler repair in Glendale AZ? Call 602-753-4333 now! You rely on your refrigeration and reach-in coolers to keep your cold things cold. But it can break down without warning, causing all kinds of issues for your establishment. If the cooler isn’t working properly, food can spoil faster or drinks will not taste as good. When your refrigeration goes down or stops working properly, you need help as soon as possible so your food doesn’t spoil and your drinks don’t get warm. Want to Keep on Top of Your Reach-In Refrigeration? 1) Clean and check the door seals regularly. Door seals can split which causes them to break down and leave a bad seal with the unit, allowing cold air to leak out. This also causes the unit to work harder which can raise the temperature inside the unit. It can also cause the coils to freeze, which will make the unit not cool at all. If your seals are broken, have them replaced as soon as possible. 2) Schedule a visit once a year for a maintenance tune-up. We can check the refrigerant levels and clean out the coils to make sure your unit is working at top efficiency. This will extend the life of important components like the compressor and also reduce the electrical cost to run the unit. 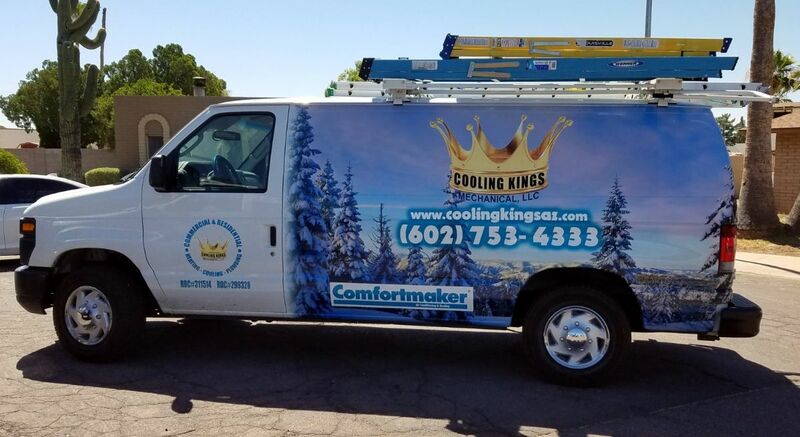 3) If your system begins to act strange, call us, your local and independently owned and operated reach-in cooler repair service in Glendale AZ 85302 plus all other Glendale Arizona zip codes right away. Strange noises or anything out of the ordinary can quickly spell trouble – it is best to get these issues investigated immediately so they don’t cause trouble later!